We provide a wide range of high strength, solvent free, 2 part epoxy based repair products. When cured all materials resist a wide range of industrial chemicals and dilute acids. And are suited for fast and permanent repairs metallic surfaces such as: steel, aluminium, cast iron and most plastics. Most materials are supplied in two parts with an epoxy resin and hardener that are easy to mix together before use. Once mixed the materials can be applied at a film thickness from 1mm to 20mm without slumping depending on product selection. The normal application method is by short bristled brush, plastic applicator or spatula. 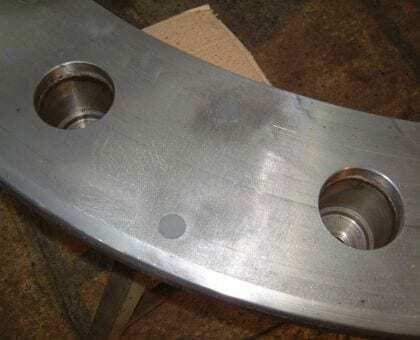 Once cured the material can be drilled tapped, machined using conventional tools or sanded to achieve the desired profile. To extend the service life of any repair. The area may be over-coated with any of our epoxy, ceramic filled epoxy or polyurethane coatings. Specifically designed for small repairs or when a rapid return to service is required. Have a pot life between 20 to 30 minutes, at 20°C. Standard Cure Products are perfect for around 90% of all epoxy metal repairs. And provide the highest mechanical properties of the range. Typically have a pot life of 50 to 60 minutes at 20°C. Making extended cure products the best solution for large repair areas or when there is a high ambient application temperature. MAXMET 300 – EPOXY PUTTY is multi purpose steel reinforced putty that is designed for repairing, bonding and sealing applications, The product is easy to mix in just one minute, providing fast and permanent repairs. virtually any rigid material. The material is supplied in stick form with a predetermined mixing ratio of base and activator. Mix by kneading, (Please note, use gloves for mixing) until a smooth grey putty is achieved. Once mixed MAXMET 300 – EPOXY PUTTY provides a fast curing epoxy putty, suited for small repairs that require a rapid return to service. MAXMET 400 5-MINUTE EPOXY RESURFACING FLUID is suitable for emergency repairs to metal components suffering material loss due to mechanical damage, erosion, corrosion or chemical attack. MAXMET 400 5-MINUTE EPOXY RESURFACING FLUID when mixed is tolerant to poor surface conditions and can be applied directly to damp and oil contaminated steel provided all loose materials are removed before application. MAXMET 500 UNDERWATER EPOXY PUTTY STICK is a solvent-free epoxy putty repair stick, designed to cure even in damp or underwater situations. 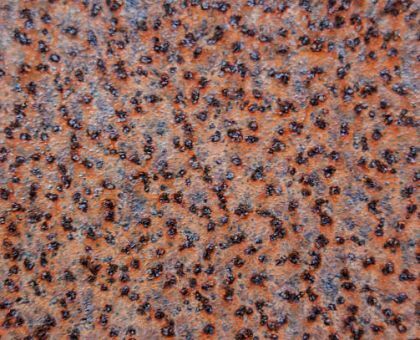 When mixed the material will bond to all metal, wood, ceramic, fibreglass and most plastic surfaces. MAXMET 600 – 5 MINUTE REPAIR COMPOUND is a solvent free, epoxy repair and rebuilding compound. Suitable for emergency repairs to metal or plastic components suffering material loss due to mechanical damage, erosion, corrosion or chemical attack. MAXMETA 100 – EPOXY METAL REPAIR PUTTY is a multi-purpose, solvent free, epoxy metal repair and rebuilding compound. The product is used to repair metal components suffering material loss due to mechanical damage, erosion, corrosion and wear. 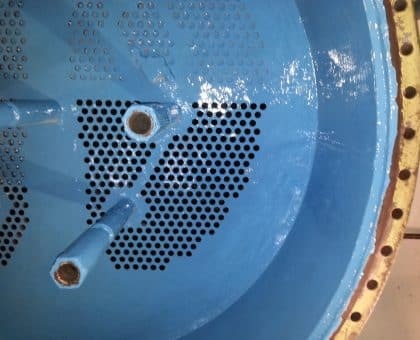 MAXMET 200 – EPOXY METAL RESURFACING FLUID is a solvent free, epoxy, suitable for repairing metal components suffering material loss due to mechanical damage, erosion, corrosion or chemical attack. 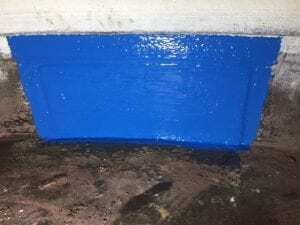 The material is supplied in two parts with a base and activator, once mixed MAXMET 200 – EPOXY METAL RESURFACING FLUID, provides a smooth pour-able fluid ideally suited for filling pitting and scarring on steel and other metallic surfaces. Once mixed the material can be applied up to a thickness of 3.0mm without slumping, also used with aluminium oxide aggregates to create anti-slip finishes. 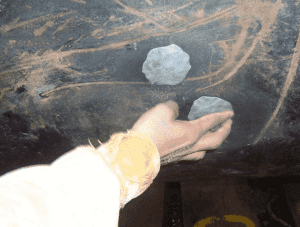 The material can be applied by trowel to large areas where excessive corrosion pitting is prevalent. Once cured the product can be over coated by many standard epoxy, acrylic and polyurethane coatings. MAXMET 700 – EXTENDED CURE METAL REPAIR COMPOUND is a extend cure solvent free, epoxy repair and rebuilding compound, suitable for large repair areas where extra pot life is required. 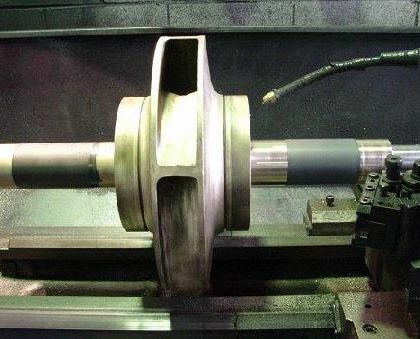 The material repair to metal components suffering material loss due to mechanical damage, erosion, corrosion or chemical attack. 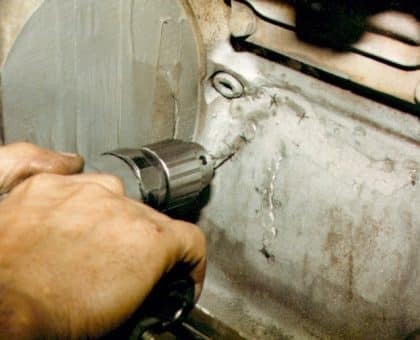 Cracks in engine blocks and cylinder heads may be repaired quickly. With our high strength solvent free epoxy metal repair compounds and pastes. 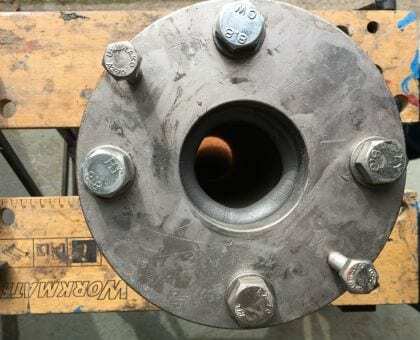 Flanges joints and sealing faces can be reformed or repaired in-situ and without hot work or welding. 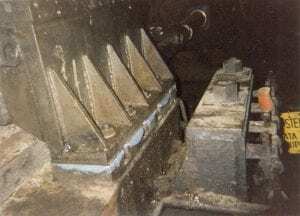 Over time shell and tube heat exchangers can suffer internal corrosion and material loss. 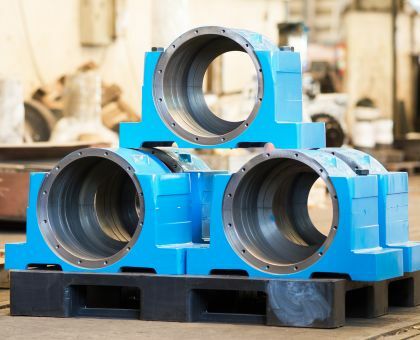 Tube sheets can be rebuilt with MAXMET Repair Compounds. 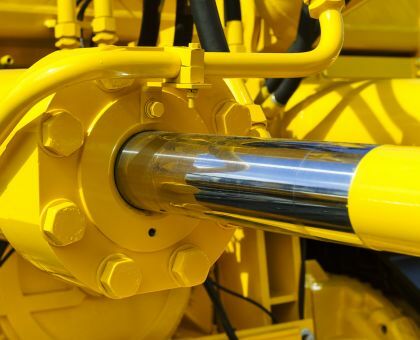 Scored or damaged hydraulic rams and pistons can be repaired without machining or any hot work. 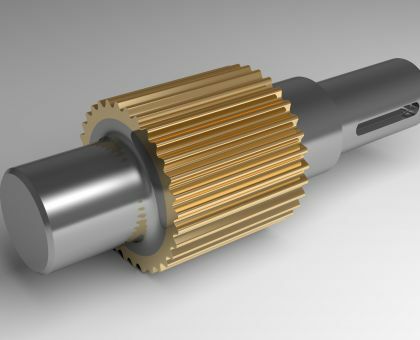 Machining and drilling errors are unavoidable but can be repaired quickly in most cases. Shaft keyways can become loose over time but can rebuilt efficiently, ensuring the key will fit perfectly every time. 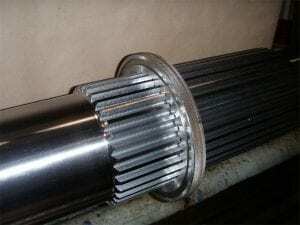 Shaft splines are put under tremendous loading and stresses. Becoming worn and loose over time but can rebuilt efficiently with minimal disruption. Our materials can be used repair leaking joints and seams on storage tanks , transformers and pipework. 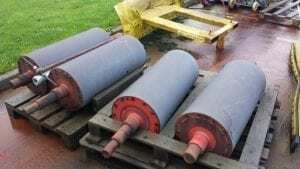 Our materials can be used to resurface conveyor rollers in belt conveyor systems. We improve belt traction by adding aluminium oxide to the fluid.